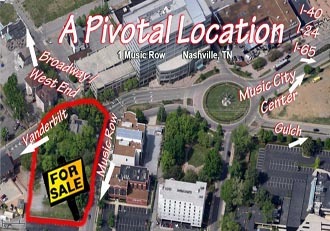 This property intersects 4 key streets located just off Nashville's Interstate Loop (I-40, I-24 & I-65) . 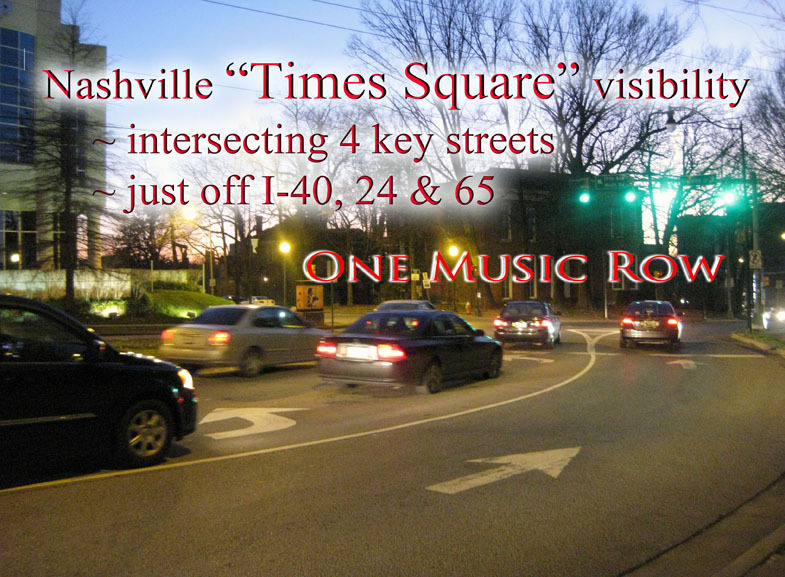 . . TIMES SQUARE visibility in Nashville's sizzling midtown. This iconic parcel wraps the corner of Division Street and extends 1/2 block (±300 feet) along Music Square West.. From the Interstate Loop, visitors travel just past the roundabout and are face-on with the Times Square visibility of this parcel. -- a definite captive audience. For years, business folks and private individuals alike salivated over this stretch of highly visible property. Timing just wasn't right -- until now! The present owners have now joined together to sell their properties as one tract. Adding icing to this landmark corner, Nashville was selected the number one Smart City by Kiplinger's Personal Finance magazine for affordable homes, a mild climate, and a phenomenal sports and entertainment scene that goes far beyond country (read more>>). Uses and zoning for the properties are mixed but Nashville's zoning climate has supported positive development by realizing Music Row and adjacent areas are now in high demand for luxury condos, restaurants, hotels and other attractions actively sought by this vibrant city.